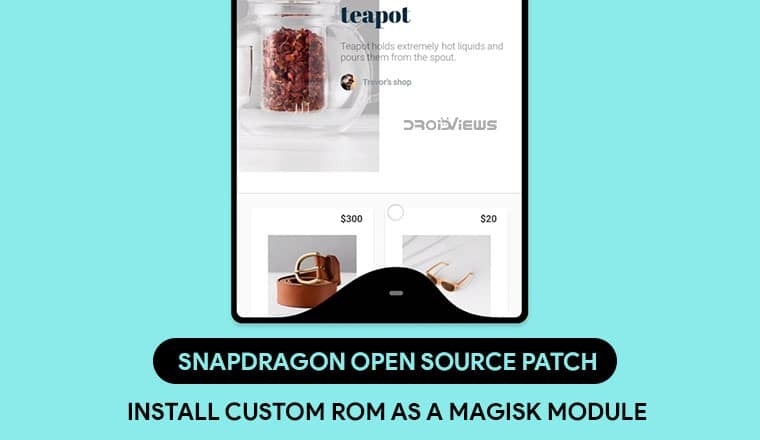 SOSP or Snapdragon Open Source Patch is a custom ROM which can be installed on top of your current ROM in the form of a Magisk Module, adding a multitude of features. Below, we’ll see how we can install the SOSP Custom ROM as a Magisk Module on Android devices. The Magisk Systemless Framework has been nothing short of a revolution in the Android modding community. It could be compared to the Xposed Framework, although Magisk isn’t quite there yet. It’s not hard to see that it could, however. Today there are so many Magisk Modules designed for specific purposes on specific or all devices. The best thing about Magisk is that it even lets you hide root and pass the SafetyNet check. Some of them aim to completely change your experience by introducing a number of different tweaks instead. An example of this would be the Pix3lify Magisk Module which transforms an AOSP ROM into a Pixel 3 ROM. If you’ve been into modding your Android device beyond the non-rooted methods you may have come across many other ROMs for your device by now that are shared in the form of a Magisk Module instead. The Magisk Systemless Framework allows the developer of these ROMs to apply the tweaks on top of an already available ROM instead of having to modify the ROM and then share the entire ROM. This makes both development and distribution much easier. For users, it means installing a custom ROM is a lot easier and you don’t have to lose your data each time you install a custom ROM. If you’re not pleased with a ROM, you can just uninstall it like a normal Magisk Module, instead of having o wipe your device and restoring back to a ROM you did like. Of course, those are only true as long as you install only Magisk based ROMs. Snapdragon Open Source Patch is a similar custom ROM that deploys all is tweaks onto an already functioning ROM, instead of distributing the entire ROM. It is meant to be installed on devices with a Snapdragon 835 or a newer Snapdragon SoC. 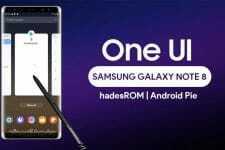 Also, it is not meant to be installed on top of highly modified ROMs such as EMUI, MIUI, or even Oxygen OS. The SOSP ROM works best when installed on top of the stock ROM on Pixel devices or an AOSP ROM on other devices. The AOSP ROM would need to be as close to stock Android as possible, like the Pixel Experience ROM. Custom ROMs with a lot of built-in features like Resurrection Remix or Havoc OS won’t be compatible. Users with devices that run a stock version of Android, such as an Android One device can also give it a try. Head to our tutorial if you are worried about switching between ROMs easily. 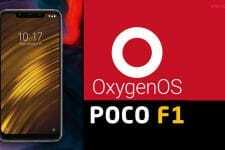 Enables latest Pixel Features, VoLTE / VoWIFI + Video Calling, high-quality Audio Playback, 4K HDR Video Playback, many hidden Android Functions, many hidden Android Services, smoother and more fluid rendering. Full Google Apps for custom ROMs (OpenGApps Aroma or Super). SOSP is a huge mod and targets a number of different aspects of the operating system. So there are some perks as well as demerits. For once, installing the mod will hide your device’s navigation bar so you’d be left with no way to navigate around. For this, the developer has included Fluid Navigation Gestures which is, in fact, a pretty nice app. We’ve actually discussed the app in detail before. If you’ve never heard of the app before you might want to take a look. With the Magisk Module downloaded, launch the Magisk Manager app. Tap on the + button at the bottom and then select the downloaded module. Wait for it to install and then tap on the REBOOT button that appears after the installation is complete. Read next: What are Android Security Patches and Should We Care About Them?